Hi everyone. Today's card was really fun to make and used a new-to-me technique as well as a technique I haven't used for some years. 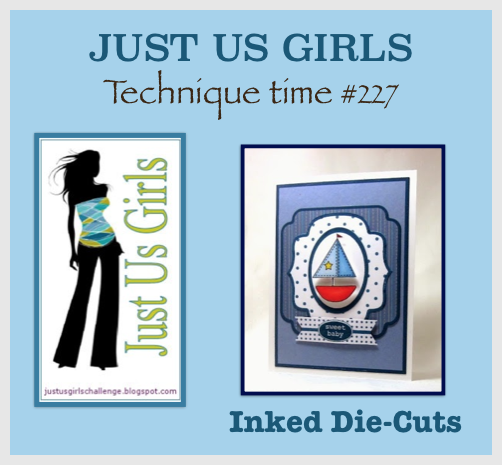 The new-to-me technique was Inked Die Cuts for the Just Us Girls Challenge. The technique I haven't used for years was 3D paper piecing (aka paper tole) for Friday Mashup. 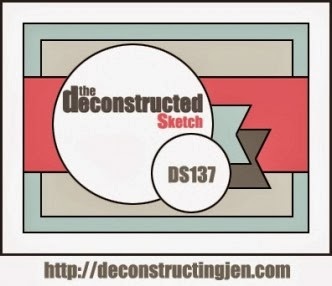 I combined these two challenges with the sketch from Deconstructed Sketches and the colors from Just Add Ink. The hedgehog was cut using the Inked Die Cut technique and some Colorbox Warm Red chalk ink. 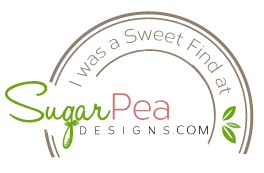 The smaller circle was stamped and the die inked with Aquamarine chalk ink before being cut. Edited to Add: This card got an Honorable Mention at Friday Mashup and Chic of the Week at Just Us Girls. Well this is a bit cute! Your little hedgehog is so cute Karren! 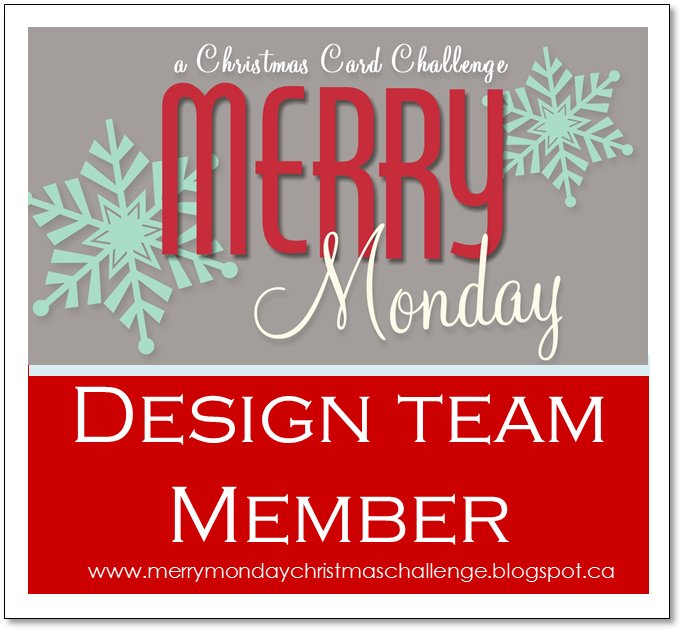 Go you on combining challenges - thanks for joining us at Just Add Ink this week! This is just so darn cute!! I love that hedgehog holding the present, and the fun sequins around the card. Thanks for joining us at The Friday Mashup this week! This is adorable! 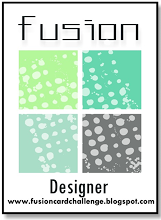 Love the dimension and the way you've used these colors! Great job with this week's technique! 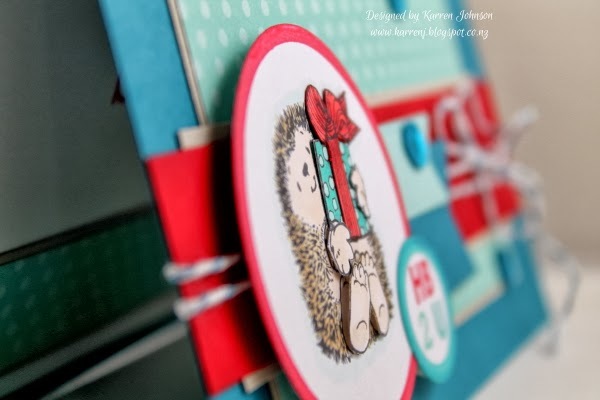 I love the effect of the 3-D paper piecing on your hedgehog....such a cute image! Thanks for joining us at Just Us Girls! Outstanding! 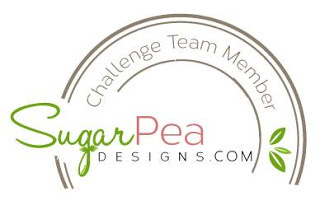 You rocked out every one of these challenges - those colors are amazing~ Thanks for joining in with JUGS! That hedgehog is so cute. A lovely card. Thanks for joining in with our challenge this week at Just Add Ink. 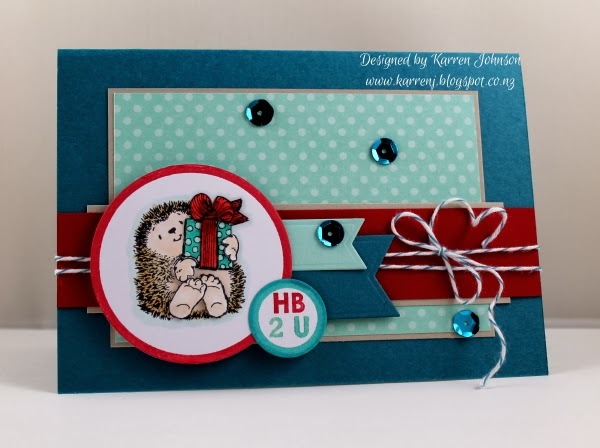 Great colour combo and just love that PB hedgie :) Thanks for joining us at Just us Girls. The detail in your hedgehog is a real delight Karren! And tops off a beautifully finished card. Thanks for joining us at Just Add Ink this week. Fantastic combination of all of those challenges! Your inked die cut turned out great and makes a great frame for that cute hedgehog. Love the 3D paper piecing, too. Thanks for playing with us at JUGS! Love your card Karren! The bold blocks of colour and that beautifully coloured adorable Hedgehog are a perfect combination. Thanks for joining in at JAI. Awww, very cute! Great paper piecing. Thanks for joining the Friday Mashup this week. Karren...Fantastic combination of all the different challenges! 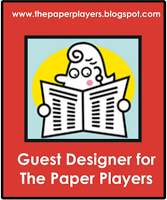 Your inked die cut turned out great and makes a great focal point for that cute guy! Love the 3D paper piecing, too. Thanks for playing with us at JUGS! Love that cute little guy! You've done a fab job with the colour combo this week. This is such a fabulous card Karren. I can see in one photo you've decorated the inside too - I wish you'd posted a photo as I love seeing how people do their insides (not enough do them!). Thanks for playing along at Just Add Ink. Congrats on being Chic of the Week at JUGS. Your card is so adorable. Love how you layered the hedgehog.